Today I delivered the second wedding cake of August so far, to a lovely little venue in the middle of nowhere. I had a particular soft spot for this couple, so I really hope their day was as perfect as the weather was. Although it was a little too sunny for my liking whilst I was setting up the cake, as the reception was being held in a giant marquee, which had been warming up for hours. Phew – boiling! A gorgeous champagne gold theme. It was a little difficult to get the lighting right to take proper photos, so this is the best I could get, but it gives you an idea. They loved one of my previously made wedding cakes, so I personalised a version of it for their day. What do you guys think? 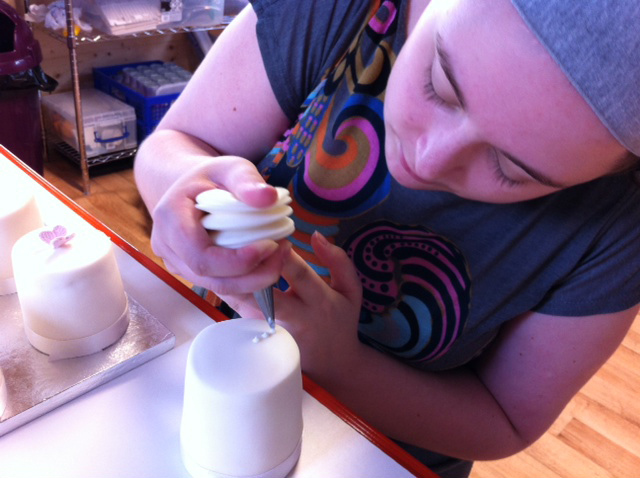 Usually, ignoring me, who do you imagine when you think of a cake maker? Just out of curiosity haha. They also had such a lovely little wishing well on the side of the marquee – wish I had taken a photo. So I’m relaxing tonight – AT LAST! I’ve been nibbling on a bar of galaxy and watching a Rob Schneider film. Thats when you know you’re too tired to bother with anything hehe. I’ve got so much work this summer – with 3 more bookings recently. Oh and cake makers (in my past) were always 40-something… but that didn’t mean they were necessarily as talented as a certain Ms ChatterCakes. Not that I’m biased or anything… it’s TRUE! Are you incorporating the color Gold into your Wedding? 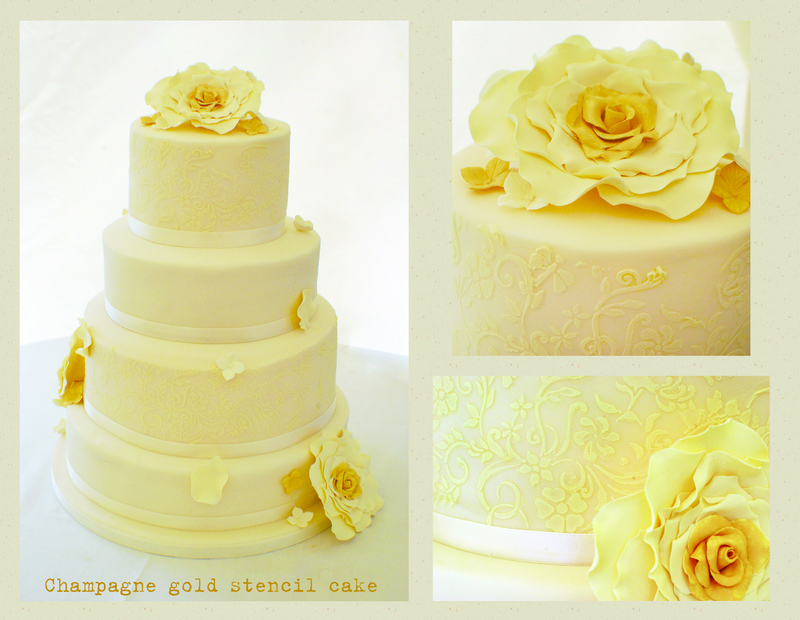 Check out this Beautiful Cake in Champagne Gold!